Shahid Akhtar Qalandar, also known as Shahid Qalandari, is a Burushaski singer and poet from the Hunza. Up till now he has released his five music albums and the last but not least album called "Mehr-e-Minas" His 3rd album "thala thala" is the most famous album in the Burushaski language till now. 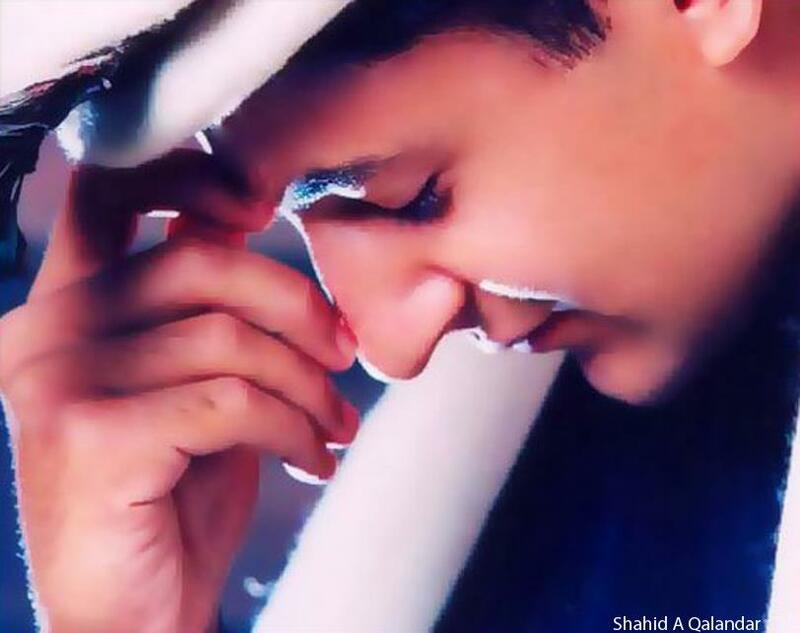 Shahid Akhter Qalandar is known all over Gilgit-Baltistan for his voice and music compositions. He gained recognition all over the country, where he was presented the brand ambassador of Hunza's Music Society. His albums released to date are Shama, Qalandari 2002, Thala thala, Jajee and in 2011 his fifth album Mehr-e-Minas was released. He is an interior designer by profession and currently resides in kuwait with his wife. The ruby-bearing host rocks in Pakistan are part of the Baltit group sequence and are contained in the Karakorum metamorphic belt north of the main Karakorum thrust. This meta-sedimentary unit can be traced from the Afghanistan border to the Indian border. We visited six sites in five days in the Hunza Valley area that produce or have produced ruby. These workings are located right on the Karakoram highway on the east side of the Hunza river. One recent discovery near the village of Bisil in the Basha Valley has the same mineral assemblage as the deposits in Hunza valley more than 100 kilometers to the west. Based on the geology and mineral assemblage at each locality the Bisil discovery is probably an eastern section of the same carbonate shelf that formed during the Eocene in the Tethys basin. Ganesh was the northernmost spot we visited, with workings on the east side of the Hunza river. Just across the river from Ganesh, Global Mining Corp. is beginning to mine ruby-bearing marble at Gupa Nala. 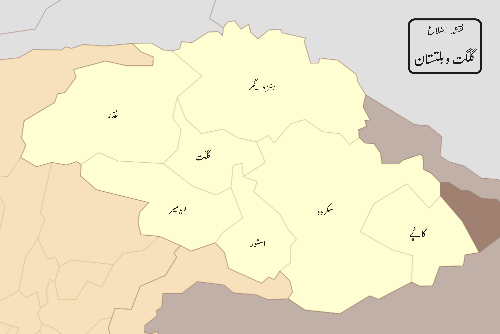 Another deposit is located just above the village of Aliabad. The Dhorkan workings, south of the Aliabad and Hachinder workings, are the southernmost that we visited. Many of these deposits have the same general kinds of minerals: phlogopite, margarite and muscovite micas, zircon, spinel, magnesium tourmaline, pyrite, rutile and graphite, all of which are hosted in marbles. Other than Global Mining Corp., we did not meet any other miners working these ruby deposits. But we could see and smell signs that explosives had been used recently, probably illegally. This is an extensive, continuous regional mineral deposit that a corporation might well be interested in working, as the presence of Global Mining Corp. indicates. Most of the workings we visited were excavated by the Pakistan Mineral Development Corporation in the early to mid-1970s. A report on the project from 1978 states that the producing marble deposit is 2,100–3,000 meters thick and extends 25 km on strike. The average carats per ton of ruby, sapphire and red spinel from eight samples is given as 16.68 carats/long ton, with a net reserve of 161,227.97 long tons, or approximately 537.8 kg of gem material. However, there were too few samples in too few areas to come up with reliable statistics on reserves. 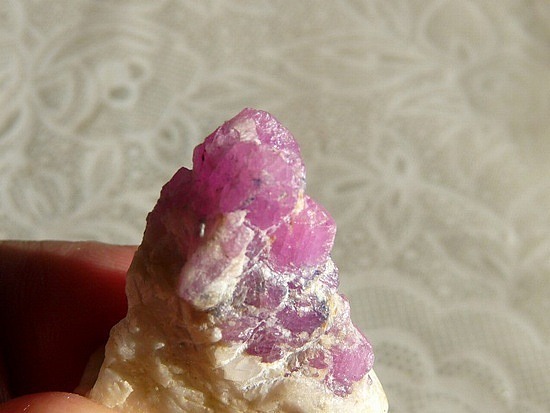 By Jim Clanin, geologist and gem mining expertThe ruby-bearing host rocks in Pakistan are part of the Baltit group sequence and are contained in the Karakorum metamorphic belt north of the main Karakorum thrust. This meta-sedimentary unit can be traced from the Afghanistan Border to the Indian Border. By Jim Clanin, geologist and gem mining expert. The majestic historical Altit fort is center of attraction due to its architectural design and strategic location. 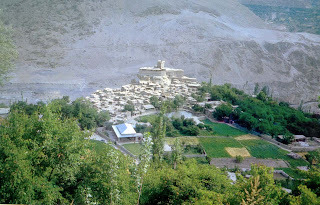 Altit is one of the oldest settlements of Hunza valley. 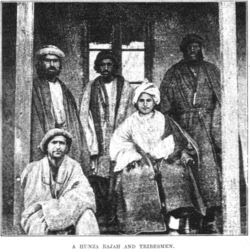 During the time when Hunza was under the central government of Gilgit principality, Altit served as the capital and sitting place of Hunza. Altit is the birth place of the HunzaKingdom and Altit fort is the first fort of the region. 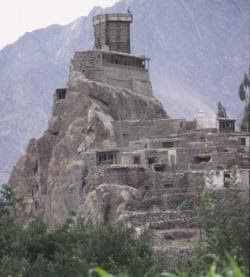 During early period of former Hunza state Altit was the capital. The artisans from Baltistan who accompanied the wife of Mir Ayasho II constructed this fort during 1540s A.D.The fort has been constructed in six different stages by using various natural levels of the rock. The construction has been made right on the edge of a sheer rock cliff that drops 1000 feet straight down to the Hunza River. In the beginning it was built as a palace, soon after the addition of the watch tower a defensive architectural element it transformed to a fort. There is great possibility that different stages of the fort have been constructed during different times because the actual age of the fort is said to be more than 800 years. However, the date of construction on the fort tower is written as 955 A.H/1548 A.D thus the age is calculated as 458 years. This fort is said to be around 50-100 years older than the Baltit Fort. When the state capital transferred to Altit it remained vacant and occasionally used as a guest house. The fort was in disposal of Raja Amin Khan who donated it to Aga Khan Cultural Services, Pakistan (AKCSP) in 2001. AKCSP after some emergency repairs is now working to preserve this historical heritage. "The fort is sited on a two rocks; the eastern rock is higher as compared to the western rock. The fort has been constructed in six different stages by using the various natural levels of the rock. The first level is located before the western side edge of the rock, which is containing a two floor building built in the first stage of the construction.The second level, contains a single floor building which was also constructed in the first stage of construction. These were built over 800 years ago. 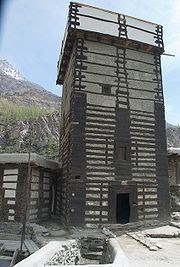 A three floor watch tower was constructed during the second and third stages of construction while the storage space was constructed during the third stage of construction. The mosque was constructed during the fourth stage of construction. A grain storage was constructed during the fifth stage of construction. In the sixth stage of construction the guest rooms were constructed after removing the grain storage located on the eastern side of the rock. Narrow corridors are used for accessing the construction at lower levels, while the mosque the storage area and the guest rooms can be easily accessed from the watch tower. The Main entrance faces Ulter and opens into the ground floor narrow dark corridor which leads to a space with two small storage spaces inside it located on the east and western side. The main space contains a rectangular structure which physically seems a supporting structure made of rubble stone and cribbage frames has a story related to it. The story is of a prince who has been buried in standing position inside the structure; he was killed by his father after believing of his son's involvement in a plan against his kingdom. The ground floor corridor further leads westward to a stair made of rubble stone masonry which connects it to the first floor. 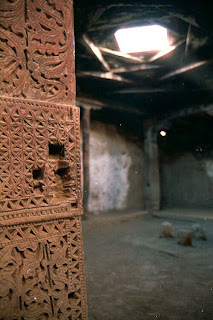 The first floor contains the royal kitchen which has the richest carving patterns on the column and the capitals. This kitchen used to be full of activities during the cooking of food for the agricultural festivals. On the eastern side of the Royal Kitchen there is a lobby with a skylight containing the main door of the corridor which is laid out north south. The space located at the northern edge of the corridor is the royal room which is a traditional house with the spaces for sleeping, sitting, cooking, and two small storage spaces, a toilet and storage space on the south side of the room. The space at the south edge is the Royal Rani's (Queen) Room, this has a fire place in the north wall and it has the traditional roof structure with the rotated square. From the north edge of the corridor further is the corridor which is laid out east west ward leads to stairs made of rubble stone masonry. After climbing these stairs there is the three floor watch tower constructed. The storage space is located at the south side of the tower and it is located at the higher level of the rock. The mosque, the royal throne and the guest rooms are at the north side of the watch tower with a minor level difference. Structurally the watch tower is rich in features containing cribbage work and mud brick infill, with windows looking in all directions. The royal throne is placed in front of the mosque on the eastern side with a panoramic view of the Altit settlement." The fort is being restored by the Historic Cities Support Programme.